Hey everyone! 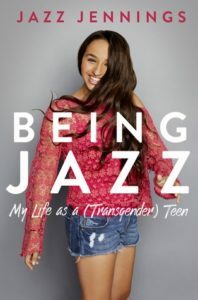 Today, I’m excited to share with you a spotlight post featuring Jazz Jennings, a teen trans rights advocate and author of BEING JAZZ: My Life as a (Transgender) Teen (June 7, 2016). Jazz has also been named the latest author ambassador for the newly relaunched Read Proud Listen Proud. 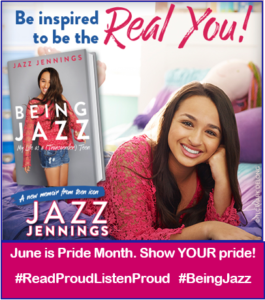 Read Proud Listen Proud was introduced in June 2015 as an online resource for kids and teens, as well as their parents, teachers and librarians, to find LGBTQ literature that encourages understanding and acceptance, celebrating everyone for who they are through the power of storytelling. The site now features fresh content, including an interview with Jennings filmed while she was in the recording studio narrating BEING JAZZ and additional title recommendations. 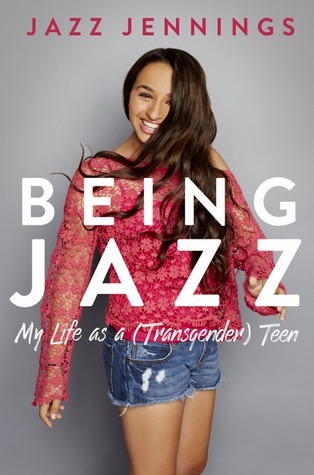 Jazz Jennings is a trans girl, YouTube celebrity, spokesmodel, activist, and co-author of the picture book I Am Jazz. She has a docu-series about her life also called I Am Jazz on TLC, which started airing in July 2015. 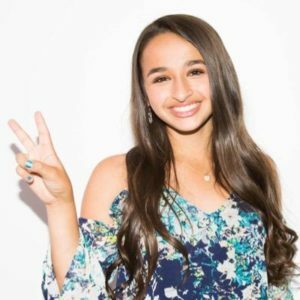 She was named to Time’s “Most Influential Teens” list two years in a row, was one of Huffington Post’s “14 Most Fearless Teens,” and was the youngest person ever featured on Out’s “Out100,” as well as on Advocate’s “40 Under 40” list. In 2014, she was named a Human Rights Campaign Youth Ambassador and received LogoTV’s Youth Trailblazer Award. Jazz also hosts a series of videos about her life on YouTube and is one of the faces of Clean & Clear. You can follow her on Facebook, on Instagram, and on Twitter, or subscribe to her YouTube channel.